Wolf’s Induction Cooktop can be bridged 4 different ways, for virtually any cooking configuration. The Wolf Induction Cooktop is one of the best induction cooktops on the market currently and incidentally one of the most reasonably priced. In induction cooking, the electricity flows through a coil to generate a magnetic field beneath the glass ceramic surface. When an induction-compatible pan is used, currents are induced in the pan and instant heat is created. The cooktop itself does not heat up. Instead energy is transferred directly to the cookware causing the pan to heat up. Because of this, almost no heat is wasted or lost into the air during cooking . This also allows for the cooktop to stay relatively cool making it safer to operate and easy to clean. 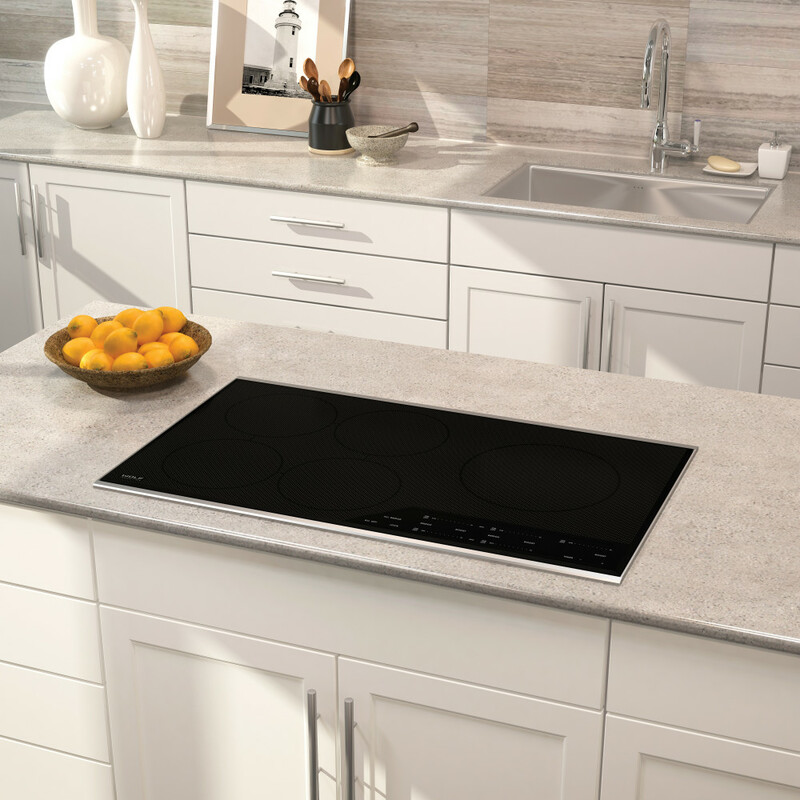 The fear of leaving a burner on is removed with a Wolf induction cooktop because elements can’t be energized without induction-compatible cookware on the surface. 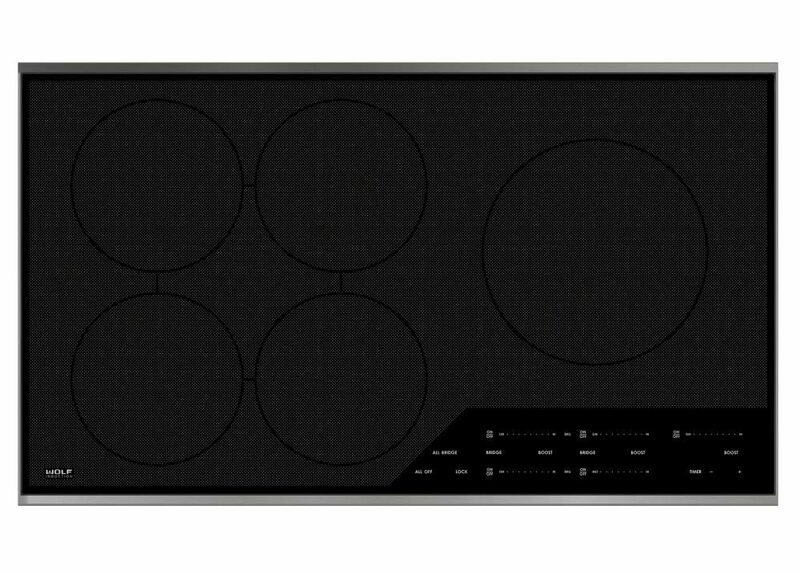 The difference between the Wolf induction cooktop and others is that it uses multiple, smaller coils on each cooking element as opposed to one large coil for each element. This results in more even cooking and simmering abilities when compared with the competition. It not only has lightning fast heat transfer, but also very low, precise temperatures for simmering and melting. This model is, in fact, one of the few on the market that have a working “melt” setting. This induction cooktop also has up to 40% faster temperature response than gas or electric. Overall it is highly efficient, exceptionally safe and well priced, which is why it’s our #1 selling appliance of 2016. It is priced at an MSRP of $2,795. Contact us for our lowest price and further details. 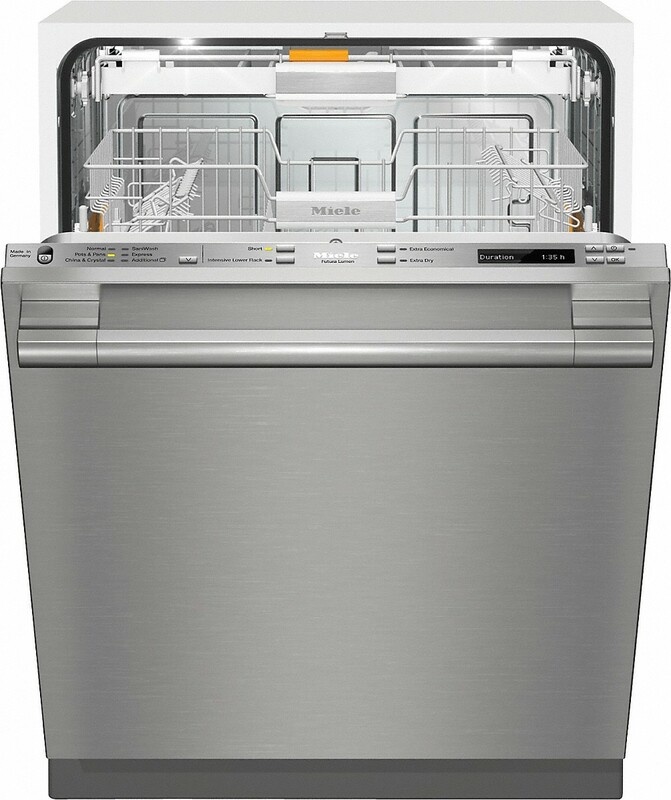 Miele’s Lumen Dishwasher is, in our opinion, one of the best dishwashers on the market currently. Its specialized wash programs give you virtually unlimited options and allow you to choose just the right cycle for you (even if that is “Normal” mode, 90% of the time). It’s decibel rating is near silent 44 dBA, it washes amazingly quiet and leaves dishware incredibly clean. It comes with a Perfect GlassCare option that monitors the rinse water’s mineral content, temperature, and cycle intensity to safely wash glass. This is the only dishwasher on the market that is certified by the top crystal glassware company Riedel. There is no need for pre-rinsing with this dishwasher because it is made to clean efficiently without it. 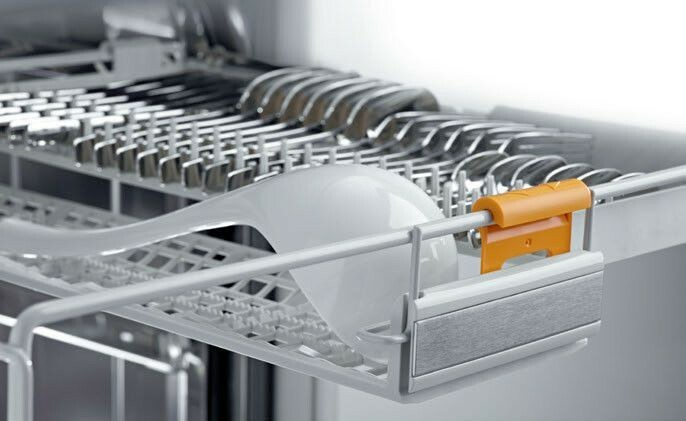 The dishwasher has an auto opening drying system where the door automatically opens at the end of a cycle to allow air to escape and circulate which makes everything dry evenly. With the 3D Cutlery Tray and the MaxiComfort Basket Design, the maximum amount of space is available. Miele dishwashers are known for their quietness, efficiency, and innovation. The Miele Futura Lumen is priced between $1,699 to $1,799 depending upon the finish. It is our top pick as it continues to meet the high demands of our customers in terms of design, functionality, and appearance. 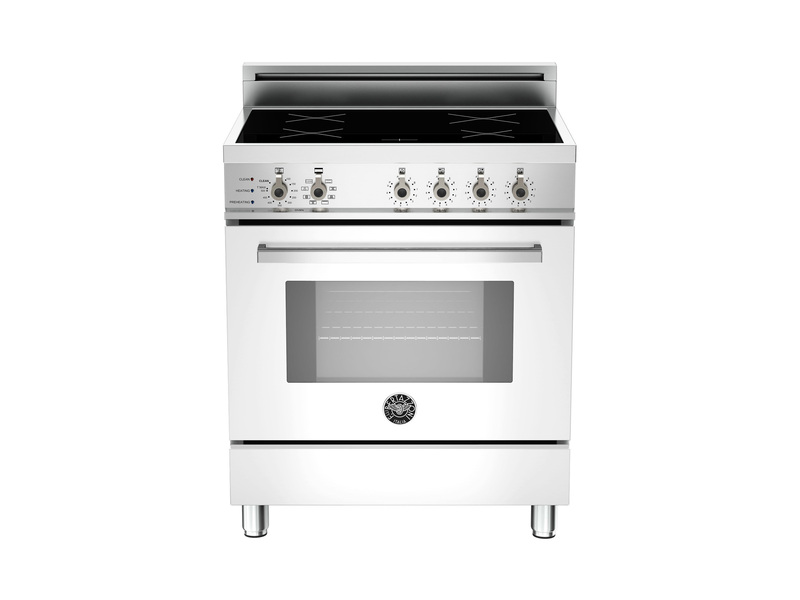 Viking has always had quality products, but the Viking 7 Series Gas Range offers a new level of design and cooking well beyond the performance of the 3 and 5 series ranges. The new 7 series gas range is based entirely on their commercial ranges and offers elevated cast brass burners putting out 23,000 BTU’s of heat. Flame ports prevent spillovers from baking on and a sealed basin makes cleanup easy. The Softlit LED lights and Digital Meat thermometer allows monitoring of food from up to 200 feet away via apple or android bluetooth. Their new ViChrome Griddle is buffed to a mirror shine and provides consistent cooking heat across the entire surface. It uses an innovative Grease Containment System to capture released grease for easy cleanup. The oven uses Viking’s amazing Gourmet-Glo infrared broiler that creates intense heat to sear meat and fish and lock in juices. Viking now allows for commercial cooking technology to be available for your home. 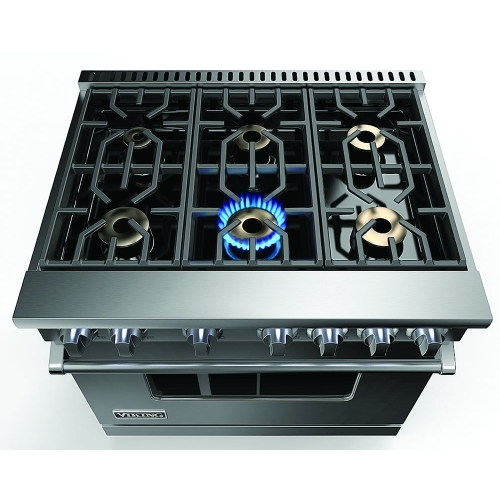 Prices for the 36″ 7 Series Gas Range start at $7,959. 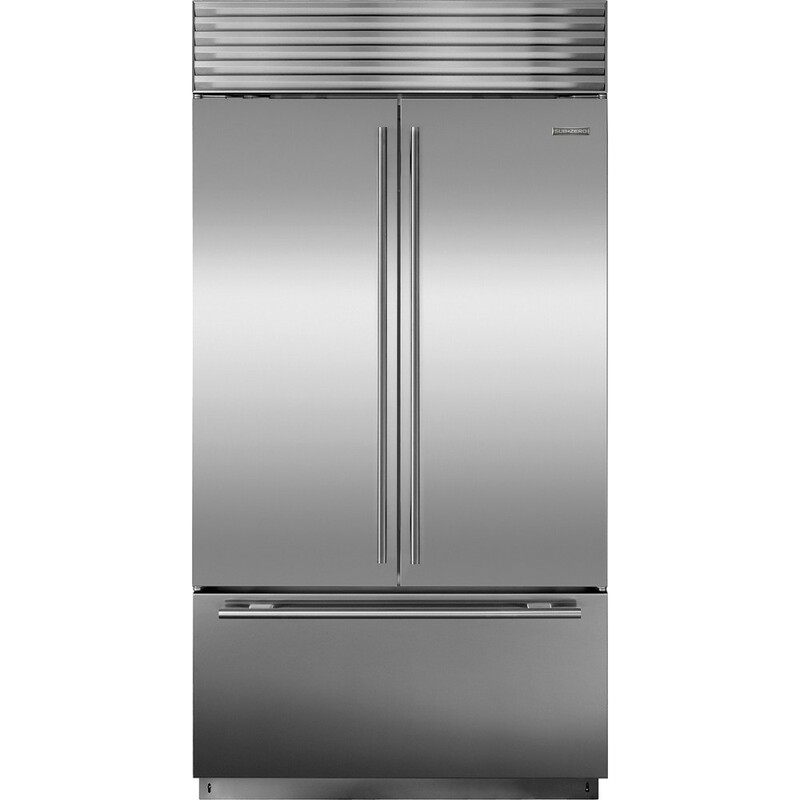 Sub-Zero is the longest lasting refrigerator on the market. Hands-down. Over 27 years in the business has taught us this much. The new 42” French Door model allows for more usable space and storage. It can come with a panel ready design that enables it to blend into the décor of any room when custom cabinetry panels are provided, or in glorious stainless steel. The air purification system, shared only with NASA’s space station, scrubs the air of toxins and gases and fights spoilage and odors. The microprocessor controls guarantees peak performance while the magnetic door seal locks in cold air, and the low-temperature. It comes with high-humidity storage zones, which are strategically placed for crispers and deli drawers. All of these features are tested to ensure dependability and to deliver the best quality refrigeration possible. On average, a Sub-Zero refrigerator can be counted on for 20+ years. 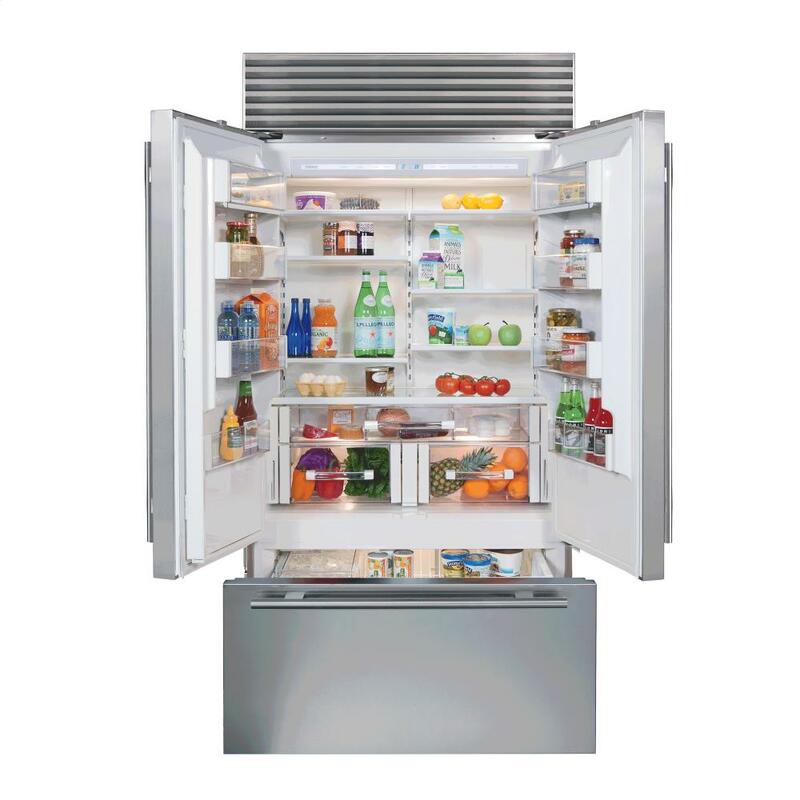 This specific refrigerator is listed at an MSRP of $10,765 and is a worthwhile investment for the time it will last. There is no wonder why this is one of the hottest refrigerator’s for 2016. The Bertazzoni Induction Range is a new comer to our line-up and what a splash it has made! Unrepentantly Italian in design and aesthetic. Priced extremely competitive against Miele, Wolf, and Viking. It’s one of our hottest sellers at the moment and with good reason. The brushed stainless steel knobs are a unique design to Bertazzoni and are a joy to handle. The cooktop includes four induction heating zones with a booster feature, a pan detection system, and a residual heat indicator for each zone so that you will know where not to stick your fingers. The electric convection oven has the typical nine functions and includes telescopic glide shelves and dual convection fans. The pyrolytic oven linings require no cleaning agents and the quadruple- glass door minimizes heat loss. These ranges are also available in a wide range of beautiful colors, using the same paint as Ferrari and Lamborghini factories. We have the “Arancio” color on display in our store. A relative new comer to the appliance scene in America, this age old Italian manufacturer is breathing fresh air into our customer’s Kitchens. 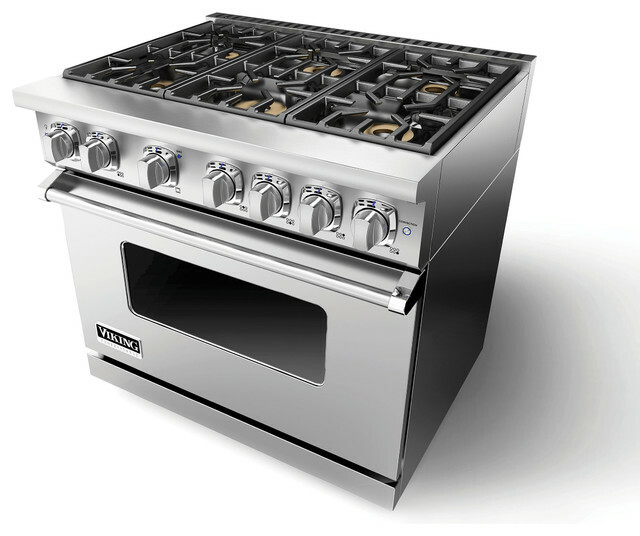 With pricing starting at $3,299, no other high-end induction range can even come close to the cost savings. Founder and Editor of Appliance Buyer's Guide. With over 10 years experience selling appliances and designing kitchens, and having grown up in the business, I have a unique perspective on todays offerings for the Kitchen and Home. Currently Managing Director at The Kitchenworks in Fort Lauderdale, FL.